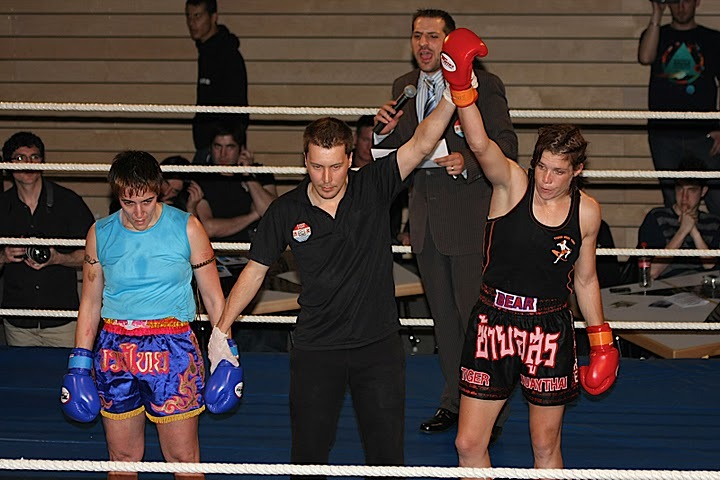 Tiger Muay Thai and MMA Training Camp, Phuket, Thailand Team fighter Claire Haigh is currently ranked #19 in the world for female fighters competing as a professional in MMA according to WMMA Rankings. Having focused on her Muay Thai career the past year, after capturing the WPMF World Championship belt, she is set to return to MMA competition. Representing Tiger Muay Thai in conjunction with Ole Laursen’s ‘Legacy Gym’ in Ubon Thailand, Claire will be facing the #1 ranked female Sanda fighter in the country of China. Fighting in Beijing Oct 29th, Claire’s bout will be on the main card on a CCTV broadcasted event playing to millions of viewers in China. Look for Claire to fight aggressive as she looks to stay undefeated and continue her quest towards a high level MMA appearance.